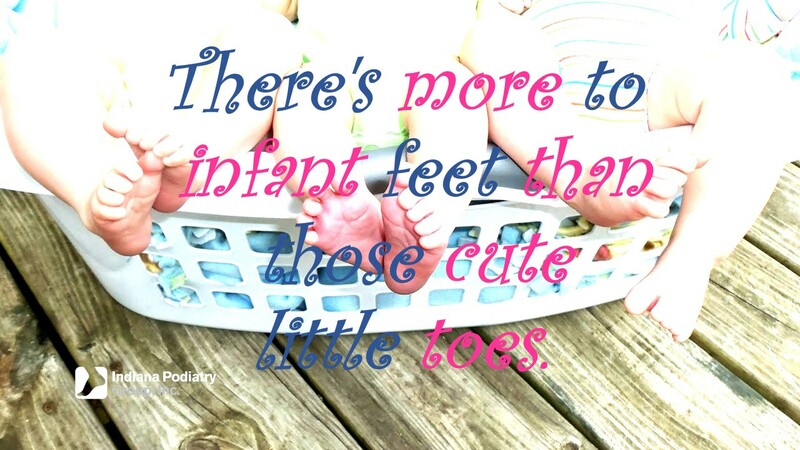 There's more to infant feet than those cute little toes. Random Foot Fact for Foot Awareness Month: All babies are born with a pad of fat in the area where an arch would normally be in an adult. An arch doesn’t usually show up until about the age of 3 and a true adult gait pattern doesn’t develop until around the age of 7. I’ll get many parents who bring their toddler in for “flat-feet.” Usually it is difficult to assess or truly see a flatfoot at such an early age. If there is some concern we will usually put this children in a simple OTC arch support. As the children develop we will watch their growth and foot position to make sure the biomechanical structure is appropriate. Some of these children may go on to custom orthotics as they develop, but the majority of the time…this isn’t a true flatfoot deformity.